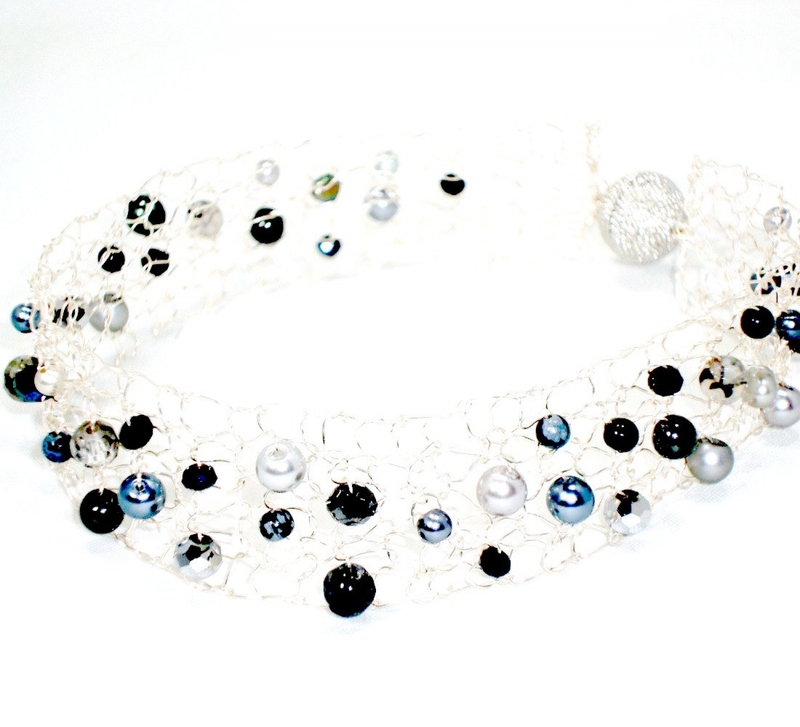 Statement Necklace Silver Wire Knit Choker sprinkled with semi precious stones in black and grey. Snowflake obsidian, labradorite, onyx and pearls. 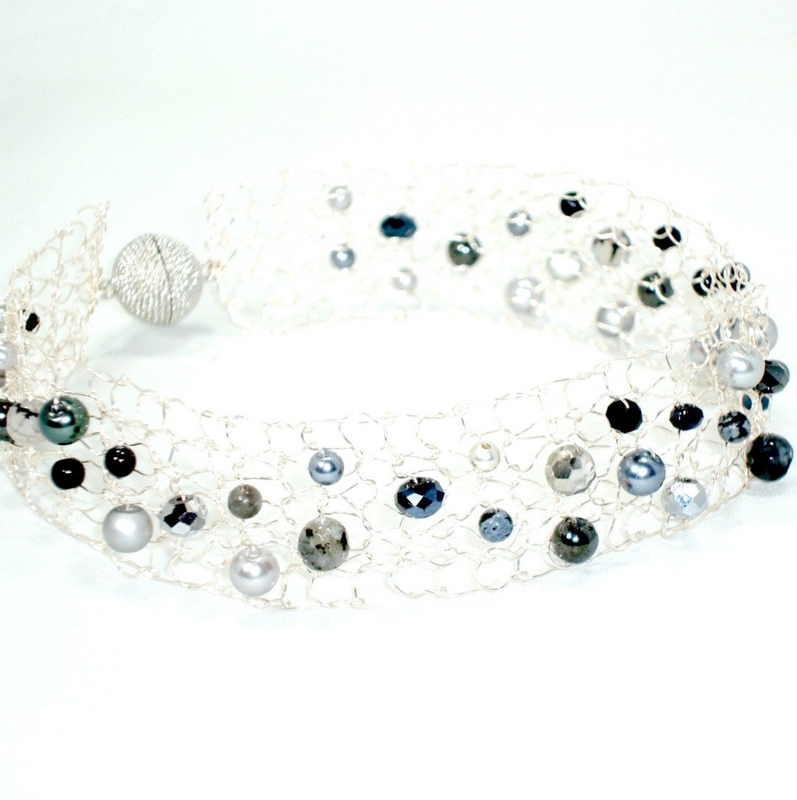 Gorgeous wire mesh choker for New Years Eve! 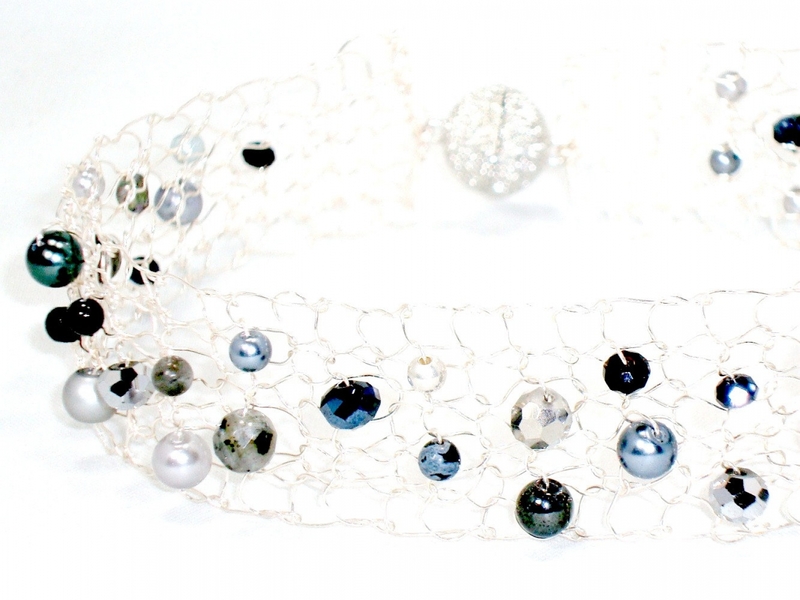 This beautiful choker will be hand knit to your specified neck measurement. I take semi precious beads and pearls of varying shapes and sizes and string them on soft thin silver wire.... then I take two little knitting needles and knit the stones into this one of a kind piece. 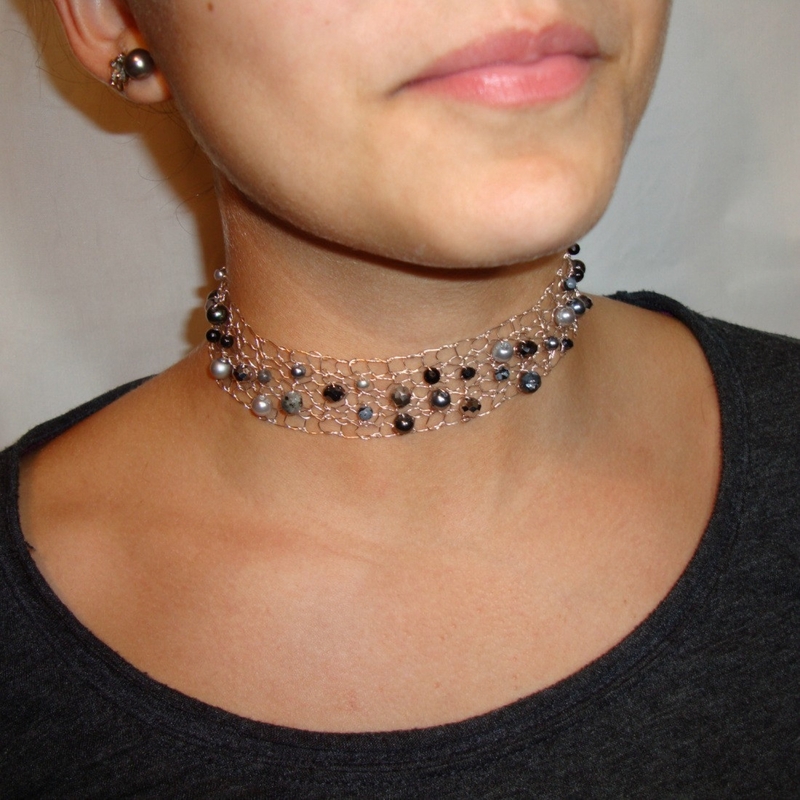 The results, a striking, feminine and completely unique piece for your neck! It fastens with a super strong magnet for convenience!